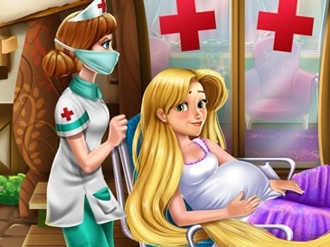 A magical event is happening, Rapunzel is going to give birth and she needs your help to make sure everything will be alright. Waiting for the baby can take a while, but in the end it will be all worth it. Step into the operation room, find out the baby's blood type, clean and feed her so that both mother and newborn can rest assured.